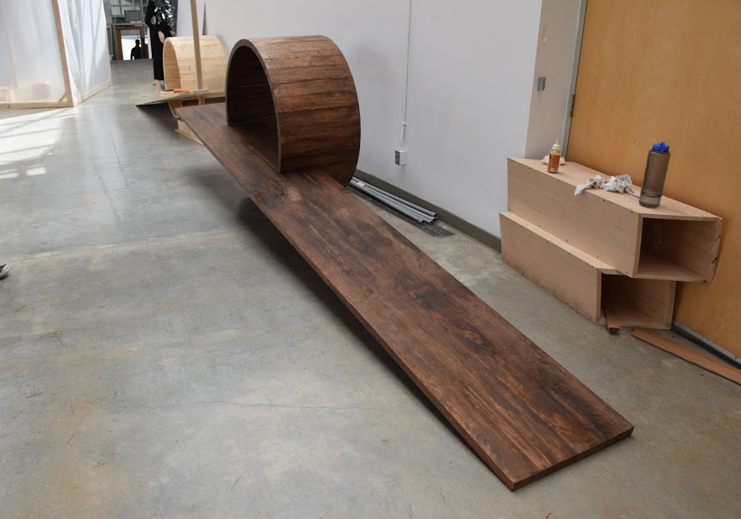 The Springboard Bench was the result of a project that was based off of the history of the area surrounding Emily Carr's new campus. 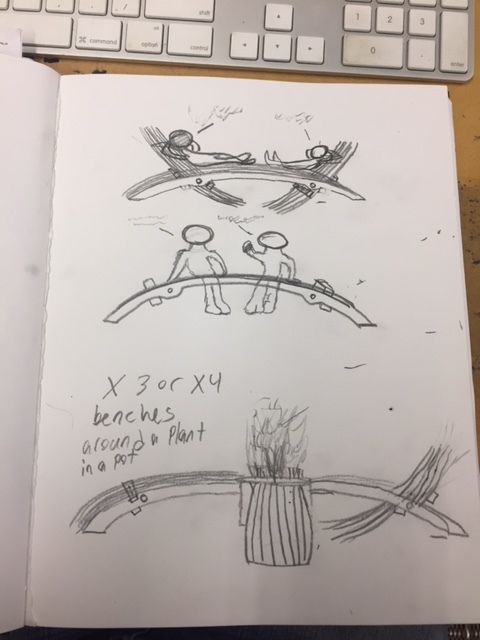 Our group's objective was to create a piece of outdoor furniture. The model shown here is half actual size, and is built out of heat-treated hemlock for increased weather-resistance.